I am very happy with the batteries for my mobility scooter, they are a bit more expensive than other brands but I decided to buy these as they were the same as the original ones and these performed very well over several years. They are very easy to fit and were dispatched quickly. They were well packed for transportation. Easy fast delivery. Does what is says on the tin! perfect product, speedy delivery, fits perfectly. Brilliant, helpful service and a speedy delivery. What more could you ask for? Great delivery and price from Tayna...! Many thanks. Excellent service, no problems with delivery. 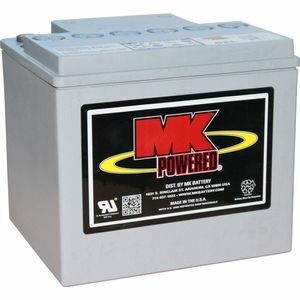 I was able to fit the batteries straight away, the wheelchair had not been used for over 4 years since my wife died. The replacement batteries made it spring into life. I have had several dealings with this company always receiving first class products. Every order has been well packaged and the delivery was first class. A company you can rely on over the net or by phone. The service i received from tayna batteries was excellent. would highly recommend them and would purchase from them again. It took less than 14 days for the package to be delivelered to me. Everything was in order. I look forward for my next order. Thank you. great service. helpful friendly staff. Life is too short for filling in questionaires I was delighted to receive here in France the two batteries within a few days. Congratulations on your service. The ones I wanted could have had angled terminals, but I put crimp on terminals and they work perfectly - a bit more detail n the thread you use which is not shown as a tapped hole would have been helpful.